Film Intel's annual retrospective does not contain a 'Best Film' award. It instead contains things like Best Minor Character and Film I Wish I Hadn't Seen awards, which, lets face it, are much more fun. Awards are based on the Film Intel experience of the year, rather than anything inconveniently difficult, like 'release date'. 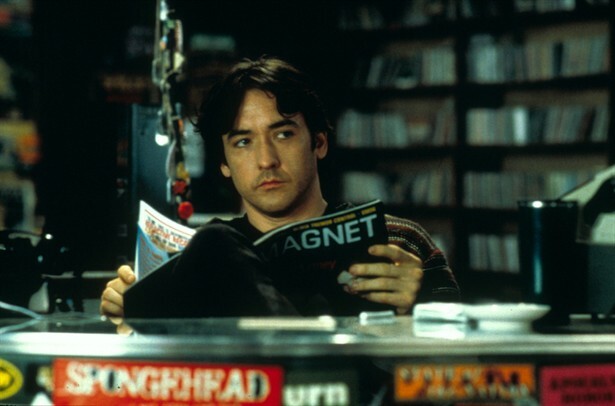 There is no film I enjoyed revisiting more after a long absence this year than High Fidelity, which is about as perfect a look at modern man and modern relationships as I've yet encountered. It's funny, sweet and depressingly human. I could have watched it again straight afterwards. Inception is a film which obviously improves on repeat viewings and it did again on my third watch. Three Kings remains an under-appreciated favourite and Dr. No a lovely slice of very good nostalgia. I still find The Hangover funny, despite the contrary opinions of many. Very few films that shoot for powerful profundity achieve it, instead hitting smugness or unintentionally appearing glib in the face of a serious issue. Rabbit Hole is not one of those films. It's moving and well composed and tackles the state of grief with great honesty and care. If I had have seen it last year, it would have troubled my Top 3. The discovery of the presence inherent to the success of Bullitt for the first time was an action joy. Waiting For Superman is a documentary with many detractors but a powerfully argued one nonetheless. The Secret In Their Eyes is a fantastically well-told mystery and a deserved 2010 Oscar winner. Monsters is a wonderfully original take on the Alien Invasion genre, with plenty to say and some fantastic camera work. All four of these films were gorgeous but TT3D especially stood out from the rest of the home market crowd due to its use of ultra-motion and incredibly high-quality 3D cameras. Even in non-3D, the images pop off the screen and in the ultra-mo sections the bikes and riders are shown to near fibre-level detail. A remarkable feat of well-used HD and outstanding cinematography. 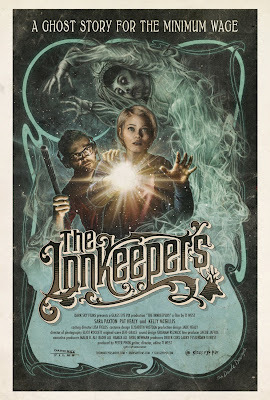 Quite simply, nothing has come within many many miles of this wonderful poster for Ti West's The Inkeepers by The Dude Designs. Its retro, well assembled, has a nifty tagline and a delicious colour scheme. It walked the category. The Human Centipede II and The Rum Diary are both good examples of high concept art work taken, at least in the case of the former, to the extreme. The Tree Of Life similarly takes the amalgamation poster to new levels of beauty, whilst the Shame poster typifies how brave that film's marketing campaign has been. The Woman In Black trailer wins this category on account of it actually being significantly more chilling than most full length horror films. The use of the poem instead of screenplay dialogue and the incredible payoff it delivers come the end is significant, marking it out as a real benchmark for trailers everywhere. The Moneyball trailer brought hair-raising atmosphere without spoiling anything, the Shame trailer is perfectly pitched, looks fantastic and is structurally brilliant, the Drive trailer sold the film to many, whilst The Guard trailer brings admirable levels of fun. The use of The Monsters, and of their eventual genesis come the end, in Gareth Edwards' film is something born partially out of budgetary necessity but also out of a film with so much to say about so many things, including the over-saturated genre it moves in. One of the films of last year for several reasons. The honourable mentions are all great but the only one that threatened to nick top spot is Joel Edgerton's Baz, for obvious reasons if you've seen the film. Honourable mentions; Pathfinder, Age Of Dragons, Did You Hear About The Morgans? There were a number of contenders here and for sheer ineptness of film-making, Pathfinder deserved to take the gong but this isn't a 'Worst' award it's a 'Film I Didn't Get Anything From' award. Pathfinder at least taught me how not to edit a movie. Rapt on the other hand is over-long, stale and one-dimensional. It's a kidnap thriller with no thrills. It challenges the fact that you need a likable character in the lead and then fails to overcome that very challenge. Dull, dull, dull, zzz. Age Of Dragons operates on similar lines as Pathfinder whilst Did You Hear About The Morgans? is offensively materialistic, xenophobic of the American mid-West and, generally, a pretty bad egg all round. Black Dynamite could have made this list but I'm struggling to build up the eagerness for that argument again. Whilst it's tempting to pick the passive aggressive insults ladled out in amongst some justifiable points in the two Honourable Mentions, it's much more satisfying to go for a comment which gave a whole new reading to a film. John's comment suggested that the photographs on display in Let Me In hint at a different sort of history for the Richard Jenkins' character, and a different sort of future for Kodi Smit-McPhee's Owen. I haven't always 'got' Harry Potter and I'm certainly not a Harry Potter 'fan', but the last film was dramatic and well composed and rather beautiful. 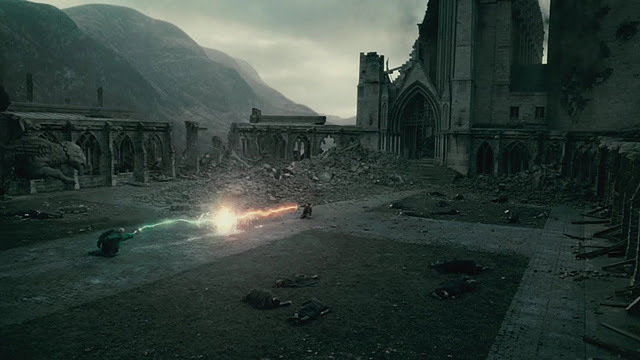 This long shot, of the climactic battle between Harry and Voldemort won out over the other candidates because of what it represents; the end of a story and the end of a stupefyingly massive franchise, which did very good business for the British film industry. There are no honourable mentions because nothing comes close to how much this film surprised me. It should have been hipster garbage, it is actually one of the best films of the year. Oh, go on then, if you're going to push me, the best 2011 film I've seen so far is probably Take Shelter, closely followed by Submarine, with The King's Speech in there somewhere if you're doing it on UK release date. Look out for Part 2 - The Statistics next week. Some truly excellent choices in the article – some of which I have been fortunate enough to view already, whilst some have now shot up my “to watch” list. Nice selection. I completely agree about High Fidelity -- that's one of my favorite films to rewatch as well. All right. You convinced me. I'm bumping "Submarine" up in the ol' Netflix queue. Best rewatch of the year for me was "Somewhere", which was an absolute revelation. Then again, I'm sort of a Sofia-ite. So take that with a grain of salt. Lee - hope you had a great Christmas break. Let me know what you think of the ones you added to your list! Eric - really forgot how much I love HIGH FIDELITY. Amazing film. Loved revisiting it. Nick - I'll keep an eye out for some SUBMARINE coverage on your site. Will be re-watching the blu-ray (Christmas present) myself very shortly. I do not know what to think about Coppola. I've watched LOST IN TRANSLATION two, maybe three times now. Still can't decide whether I like it or not.